Tag Archive | "singing adams"
One of my favourite aspects of former Broken Family Band frontman Steven Adams’ new band is that their keyboardist Michael Wood ignored the turn-ups memo for their photo shoot. Wood’s stand against this middle-aged fashion faux-pas is arguably the only radical departure made by Adams’ new venture, Steven Adams and the French Drops. But that’s no bad thing. If it aint’ broke… and all that. Here Adams once again produces a collection of pleasant, well crafted songs supplemented with razor sharp witty lyrics, that rally against the injustices of the world, both big and small. Post-Brexit vote malaise is a key concern here, with opener Bad Apples aimed squarely at the sort of patriotism that drove that surprise vote to leave Europe. Lyrics such as “lashing out” and “poisoning the well” on Wolves add further rage. Musically, there’s less of the Broken Family Band’s country twang and as with his Singing Adams output this sounds decidedly urban, especially the smart keyboards from turn-ups maverick Wood on Free Will. But there’s still time for melancholy and romance. Second track Paul is lovely and as near as this the album gets to that aforementioned Broken Family Band twang. 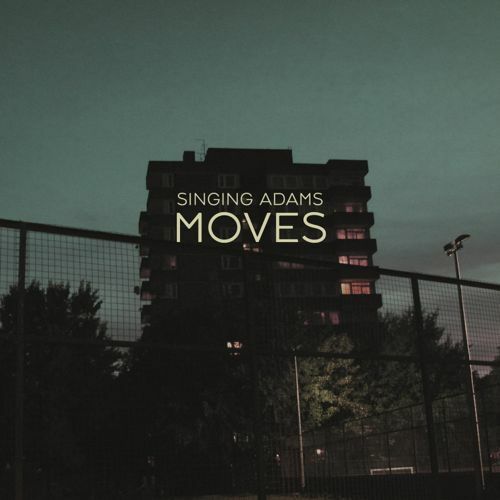 The use of this first name in the title also makes it sound much more personal and will please fans of Adams’ 2005 solo track, St Thomas, which was one of our highlights when we saw Singing Adams in Bristol back in 2012. Imprinted is another strong love song with lyrics like “I could spend my whole life with you next to me” delivered with welcome sincerity. Steven Adams and The French Drops are touring during May. More details here. The press release describes this debut from London quintet The Leaf Library as “wonderfully-woozy, drone-pop about meteorology”. The reality though is a hit and mostly miss album that at best can be compared to one of those nothingy, cloudy days where the most exciting weather development is a slight breeze or a bit of drizzle. It is difficult to capture the sparse magic of Young Marble Giants, the sense of atmosphere created by Talk Talk or the subtle, fuzzed up melodies of Yo La Tengo. Nevertheless The Leaf Library make a stab at sounding like all three, with pretty poor results. Opener Asleep Between Stations drifts along pleasantly without ever really reaching its destination, while Tilting offers slightly more promise with trumpets coming in, but never raises itself above Broken Social Scene album filler status. Acre is a six-minute master class of anti-climax that sadly is just plain boring, while Sailing offers little more. My notes just say “dull, dull, dull” for this one. Pushing/Swimming fares little better, sounding like a real mess, particularly the percussion. It’s a bit like a Cocteau Twins gig that inexplicably is being held in a secondary school woodwork class. But occasionally they nail it. Slow Spring has some nice guitar picking, not intricate enough to garner a “wow” but nice enough. Rings of Saturn has a great guitar hook and is the only really good track on an album that has borrowed too much from other bands and offers nothing new. Leaf Library are clearly yet to find their own voice but Rings of Saturn at least offers hope that there’s an interesting band in there somewhere. After eight years of fun live shows, five albums and genre crossing pop the Broken Family Band called it quits in 2009. For their passionate fanbase it was a sad moment. A band whose back catalogue was packed full of catchy songs skipping merrily across indie, rock, folk and Americana and all glued together by frontman Steven Adams’s clever, witty lyrics was no more. In the great annals of music, whatever they may be, Broken Family Band will be lucky to get a footnote but that doesn’t make this compilation album any less important. In fact, listening back to these tracks this is just about the most essential album I can currently think of for any collection. Sure, they never fully captured their live spirit on disc. But the songs here are nevertheless awesome pop, bittersweet but never sad, and fun without ever straying into parody. Take Living in Sin, about falling in love with a Satanist, there is just the right balance of comedy and sorrow. On For Milton Mapes they set the template for John Grant’s magnificently melancholy solo work. As a collection this hits the nail on the head. All their fan’s favourites are here from Hey Captain, with its indie rock breakdown midway through, to the electric guitar pop of At the Back of the Chapel, its got tracks that seem familiar, but never stormed the charts or garnered huge radio play. But as the compilation moves along the country twinge becomes more of a full twang and it seems clearer how they were getting increasingly hard to pigeon hole and market. An appreciation of whether you are a Broken Family Band kind of person will probably best lie in final track John Belushi, which for me perfectly encapsulates their blend of laughter with sadness and pop with country. So, our advice is buy this as a perfect tribute to one of Britain’s best bands you may not have heard of. 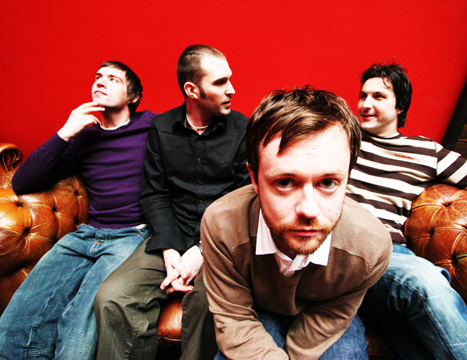 And if you like it then delve into their full albums, where tracks such as Michelle from the album Balls, Cocktail Lounge from Welcome Home Loser and Hello Love’s Dancing on the 4th Floor await. Steven Adams, songwriter and frontman of Singing Adams, loves to muck around with words. On Moves, the second album by the former Broken Family Man’s indie pop focused act he plays around with clichés, messes with metaphors and delivers another set of bittersweet tales of relationships and life. Most often he clearly delights in taking a familiar saying, digging a little deeper, adding a bit of realism and suddenly making these cozy words feel a little more sinister. In promoting this album Adams is keen to point out it is an attempt to “make a London album.” In many ways he’s succeeded, with the tracks full of images of tiring commutes across the capital, in particular the images of trains on Theme from Moves and the social media references in Building A Wall. There’s also some fine indie pop here, as there was on the band’s 2011 debut Everybody Friends Now, with this latest album featuring two killer singles, the jaunty Good Luck and the downright raucous Dead End. But while these are great songs, it is the slower, more maudlin tracks that are the most interesting on Moves, with the slow electro pop of London Trocadero and the piano ballad What Happens Now, standing out in particular. When we caught their live show in Bristol in September 2011 they delighted in playing word games with the crowd in between songs. This love of playing with lyrics coming across far stronger on this album than the band’s debut. And as with the slower tracks on this album it was the tender, final song of the set St Thomas, from Adams’s solo album Problems (2008) that was recorded under the Singing Adams name, that stood out more than the indie pop. 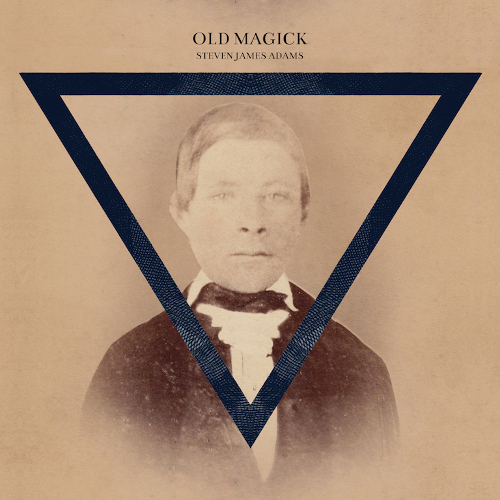 Another set of thoughtful tracks and fine tunes from a band which we quite rightly named as a key band to watch out for in 2012. We have to admit the year started badly in terms of album releases. By March we were struggling to think of more than a couple of excellent album releases let alone begin a shortlist of 20. Then winter turned to spring and the flood gates opened with new bands emerging and some old stagers reliving their glory days and in some cases bettering them. We have our first ever classical music entry in an end of year album list, some great new UK folk music and a staggering achievement in song writing by one familiar face in our end of year lists. We’ve even found room for an album about 1970/80s wrestling by one of the music industry’s funniest and most caustic writers and artists. In the end its turned out to be a pretty fine year for releases, as two of the biggest names of 1990s alternative music battle it out for our top two places. Get your bus fare ready, prepare to race down to your local independent record store, and enjoy Neonfiller.com’s Top 20 Albums of 2011. In a year of public sector cuts, strikes and the Gleision mining tragedy this soundtrack by Jóhann Jóhannsson to Bill Morrison’s mining documentary of the same name helped it become our first classical music entry in an end of year list. The haunting and powerful music he creates to depict the brutal hardships of the industry and the chaos of the 1984 strike were recorded live at Durham Cathedral, which gives it added gravitas. Read our full review here. This Texan band’s follow up to its critically acclaimed previous albums The Stage Names and The Stand Ins brings more fire and bite to their sound as frontman Will Sheff took co-production duties. At times cinematic, at others indie rock not one of its 11 tracks are skippable. Among are highlights are opener The Valley and one of its singles Wake Up and Be Fine. Read our full review here. Former Ariel Pink collaborator John Maus has plunged deep into the murky waters of the early 1980s to deliver one of the most stark, fascinating and strangely enjoyable slices of synth pop you will hear all year. Among our highlights on this, his third album, is the track ‘Cop Killer’. Read our full review here. This second album by The Leisure Society gives us the urge to jump in our Neon Filler branded Morris Minor, dress up in our Prisoner gear and take a dip in the murky waters of Bognor Regis or Portmerion, stopping off for some fish and chips and a pickled egg. This eccentric, most English of albums was one of the highlights of our summer. Read our full review here. Featuring core multi-instrumentalist members Taylor Kirk, Mika Posen and Simon Trottier this peach of an album by Canada’s Timber Timbre seems to inhabit another universe where 1950’s B-movie soundtracks and dirty rock and roll rule supreme. It’s a strange mix that works thanks to Kirk’s soulfully odd (or should that be oddly soulful) vocals and the added instrumentation of pianist Mathieu Charbonneau and saxophonist Colin Stetson to add to its vintage charm. Read our full review here. Just like the Mercury nominations we like to feature a new folk act in our end of year round ups. This year’s slot goes to the excellent Jonny Kearney and Lucy Farrell. Nominated for a 2011 BBC Folk horizon award, given to emerging new talent, they have clearly caught the ear of Radio 2’s Mike Harding and his production team. Rachel Unthank and her husband Adrian McNally are also admirers and produced this wonderful debut from the pair in Northumberland. Read our full review here. This debut album from former Broken Family Band man Steven Adams’ latest project was one of the best indie-pop releases of the year, mixing Adams’ clever and poignant lyrics with a fine bunch of melodies. His band are a bunch of seasoned indie and alternative musicians and live they are well drilled outfit. We have been so impressed that they topped our Top Ten bands to watch out for in 2012 list. Our highlights on this excellent album include the singles I Need Your Mind and Injured Party. Read our full review here. With its stripped back feel, punctuated with squealing electric guitars and flutes, Apocalypse can be an unsettling listen at times, but not for too long as Callahan’s luxuriously deep voice has a calming influence and can easily draw you back to normality. Read our full review here. There are so many striking aspects to Gloss Drop, the follow up to the crazy, cartoonified thrill ride that was Battles’ last album Mirrored. The range of singers including Gary Numan, the sense of fun and above all some superb drumming are just some that immediately spring to mind. Read our full review here. The Palace Guards is the first solo album from Cracker and Camper Van Beethoven front-man David Lowery. It’s taken a while to come out but its been worth the wait. This is among the best work from one of alternative music’s most engaging songwriters. Read our full review here. Three albums in and The Miserable Rich are really hitting their stride as one of the UK’s most innovative acts, mixing compelling story telling with chamber pop and most importantly some damn fine tunes. Among the highlights on this their third album is the swirling Ringing the Changes. Read our full review here. 9. Kathryn Calder – Are You My Mother? This solo album from New Pornographer Calder has the professionalism and confidence you’d expect from a seasoned performer and her personality shines through lifting it above the norm and adding real charm to proceedings. The album was recorded while looking after her mother who was dying from Lou Gehrig’s disease. This gives the album an underlying sense of melancholy in places that adds an emotional depth few songwriters can manage. Read our full review here. The Mountain Goats frontman John Darnielle’s song writing and survival instincts grow stronger with each release. With three different producers there’s a surprising consistency as he exposes his hidden demons and offers up some bittersweet tales of the famous along the way, from Charles Bronson to Judy Garland. Uplifting stuff. Read our full review here. C’mon may just be this year’s great American album, with echoes of Johnny Cash and Gram Parsons throughout. With very precise production from Matt Beckley and the band, which is fronted by husband and wife Alan Sparhawk and Mimi Parker, they have created an album that is melancholy, epic and just plain beautiful in places. Read our full review here. An immaculate attention detail in recreating the sounds and production of the 1980s has helped Dan Bejar (aka Destroyer) become the second member of Canadian super group The New Pornographers to enter our Top 20. Bejar has never sounded better as he takes the role of world weary rock star reminiscing in style. Part New Order, part Prefab Sprout, this is arguably his best album to date. Read our full review here. 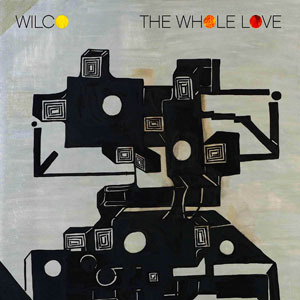 The Whole Love is probably closest in style to previous album Wilco (The Album) but that little bit better. It also shows a band at the peak of its powers, playing with confidence, inventiveness and real skill. You get the pop Wilco, the rock Wilco, the experimental Wilco and the soft melodic Wilco, all of which adds up to one of the most satisfying releases of the year. Read our full review here. 4. Luke Haines – 9 1/2 Psychedelic Meditations On British Wrestling Of The 1970s and Early 1980s. The former Auteur and author of the excellent book Bad Vibes returns from a two year recording break to turn his attention to the world of British wrestling from around 30 years ago. Witty, concise, well executed and completely unlike any other album we’ve heard this year. Haines clearly isn’t quite ready to throw the towel in just yet on his recording career. Read our full review here. Busy doesn’t even come close to describing Darren Hayman’s year. He was involved in the Vostok 5 art exhibition and album about space explorers, released an album of piano ballads The Ships Piano, plays bass in Rotifer and is involved in all sorts of Christmas releases for Fika Recordings. His crowning achievement though for us was to write, record and release a song a day during January. The end product January Songs, which is available to download and from January 2012 in CD format, contains some of the former Hefner frontman’s best work and offered a great example of social media interaction between artist and audience, who helped him along the way with lyrics and ideas. Read our full review here. Thanks to production from Beck the former Pavement frontman has ditched some of his rock star, guitar squealing cliches to reveal one of his best albums for years and certainly his best since his Pavement glory days. The finely honed single The Senator is among our many highlights. Read our full review here. 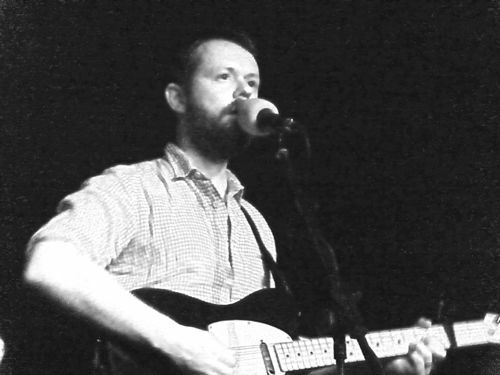 Narrowly pipping Stephen Malkmus to the top spot is another veteran of the 1990s US alternative music scene, Robert Pollard and his act Boston Spaceships. The album echoes a number of Pollard’s favourite classic acts, the Beatles are in there, but it is The Who that are the most obvious influence on this guitar drenched album. It has the Pollard stamp throughout and you can’t imagine anyone else producing a record quite like this now, or any time in the last 30 years. Read our full review here. See also: Spotify – Neonfiller.com’s Best of 2011 Spotify List. Last year London band Django Django topped our list of acts to watch out for in 2011. As autumn came they didn’t disappoint as they began unveiling tracks from their forthcoming highly promising debut album. Another to justify their place on the 2011 list was The Miserable Rich, who unveiled their superb third album Miss You In the Days in October. This year we look at our top ten bands to watch out for in 2012. Some have already being wowing festival crowds and attracting attention in the blogosphere. As 2012 progresses we predict these bunch will climb up the festival bills and garner even more praise. Sit back and enjoy Neonfiller.com’s top ten acts to look out for in 2012. Just before the 2011 Mercury nominations were revealed a few names cropped up among bloggers, including ourselves, for possible inclusion. One of those names was little known singer -songwriter Alice Gun, whose debut album Blood and Bone impressed us greatly when it was released early in 2011. It’s sparse, it’s eerie and a beautiful debut that was sadly overlooked by the Mercury panel. Comparisons to PJ Harvey are inevitable, but Gun is her own artist and we are expecting big things of her in 2012 as word of her talent spreads. Tigercats from London are that rarest of bands, an indie-pop act that you can actually dance to. After a string of singles and EPs they are finally ready to release their debut album in 2012. We’ve had a sneak listen to a couple of tracks already and we predict it will bring them to a far wider audience than the small band of wise indie-kids that have already discovered them. The album will be backed by a series of tour dates. Among our favourite Tigercats tracks, and one we are keen to see live is Easter Island, which was released in August 2010. Free Swim are one of those unusual bands that pop up in our inbox occasionally that leave us lost for words. The first email we received was to promote their debut EP Two Hands Is Ok, about a man who was so busy he had to graft another set of arms onto his torso. The next time it was to tell us of EP #2 Yolanda the Panda, about the adventures of a mountain climbing Panda. The subject matter may be comical, but they are serious about their music, sounding like a cross between Super Furry Animals and King Missile. A whole bunch of other reviewers from 6Music to XFM also agree. Live they are a force to be reckoned with as their bassist becomes a real life Super Furry Animal by donning a giant panda costume. A funny, interesting band that are set to release their third EP in 2012 and continue wowing crowds with their unusual live show. Here’s some footage we took at one of their 2011 gigs, in Brighton. How Kill It Kid are not already one of the UK’s biggest bands is a mystery. Their 2009 self titled debut album’s mix of rootsy blues and rock wowed critics, but failed to shift CDs. But 2012 could prove to be their year as they continue touring to promote 2011’s excellent second album Feet Fall Heavy, which features a bigger and bolder sound. We predict a main stage slot at one of the major festivals in 2012, surely the perfect stage for their ballsy approach to rock. What’s more in Chris Turpin and Stephanie Ward the band, which formed at Bath Spa University, are blessed with two excellent singers. During our visit to Glastonbury this year we made sure we spent alot of time at the BBC Introducing stage. First up on the Friday were Brighton’s Twin Brother and what a performance they put on. Held together by the sumptious vocals of singer songwriter and multi-instrumentalist Alex Wells, the band evoke classic mid 1980s sounds of Aztec Camera and Lloyd Cole and the Commotions. Twin Brother also played the Anglo-French White Nights festival during 2011 and a string of dates are booked in for 2012. Here’s an acoustic version by Wells of Send Me A Letter, a track from one of their planned releases during 2012. Margate’s Two Wounded Birds were another act that dazzled us at the BBC Introducing stage at Glastonbury. Surf-punk is probably the best way to describe them as they mix classic punk, with surf and rock and roll. They are also gaining alot of attention from national radio stations and online broadcasters, including 6Music and NME online. 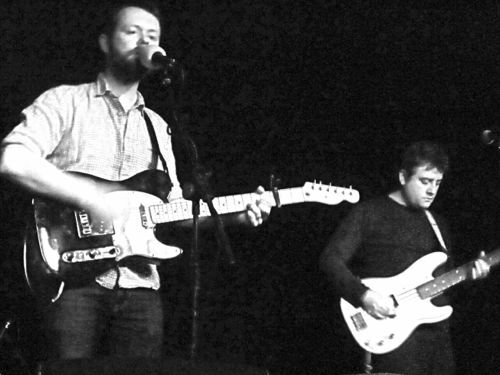 Festivals have been key to Dry The River’s excellent 2011, bringing their energetic live sets to events such as Glastonbury and Brighton’s Great Escape. Gradually they’ve been building up a solid fan base thanks to their mix of accessible classic rock with an alternative, folk edge. They start 2012 as part of the Q:Now the Sessions events playing XOYO, London in January and are certain to start climbing up the festival bills during the summer. In a few years time we wouldn’t be surprised to see this band, which formed in East London in 2009, headlining a festival main stage. Already Idaho 20-something Trevor Powers, who performs under the name Youth Lagoon, has generated plenty of buzz in the US. His debut album The Year of Hibernation, which has been released on the influential Fat Possum label, has been given near universal critical praise, including a coveted Best New Music tag from Pitchfork. His subject matter of love, loss and anxiety is still immature at times, but he is at the start of what promises to be a long career. We are confident that the US buzz around Powers will soon spread to the UK. Watch out for European tour dates in 2012. DM Stith is one of the gems of US label Athmatic Kitty’s roster. The multi-instrumentalist has spent much of 2011 supporting label mate Sufjan Stevens on tour and promoting his dramatic debut album Heavy Ghost. For 2012 he is taken a slightly different direction with his new porject The Revival Hour. This collaboration with John Mark Lapham from The Earlies was formed through a mutual love of Roy Orbison and judging by their first single Hold Back they have been heavily influenced by the 1960s. 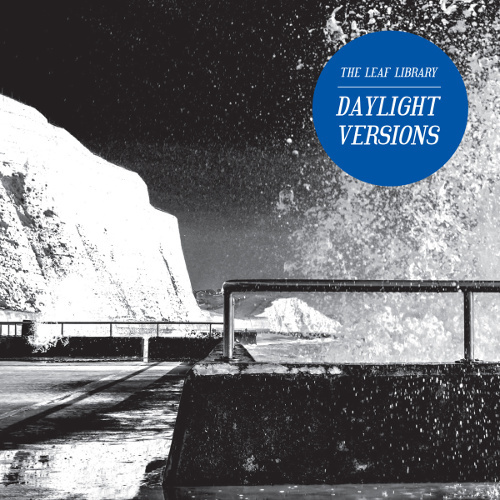 An album is due out in 2012 and is set to feature contributions from Stevens, My Brightest Diamond and Shearwater. Hold Back is one of our highlights of 2011 and we anticipate the album to be one of the best of 2012. 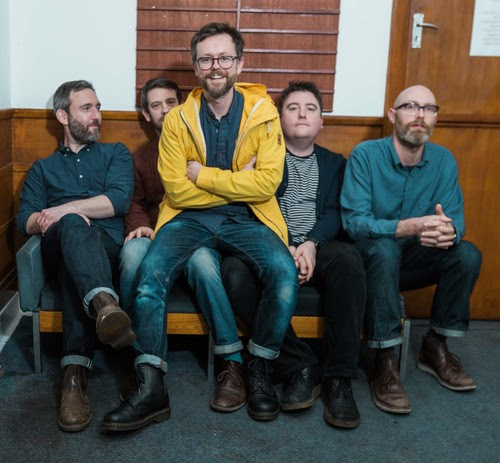 After splitting from the Broken Family Band its songwriter and lead singer Steven Adams (pic: second from left) has taken an indie pop direction with his next project Singing Adams. Bringing in indie stalwarts Matthew Ashton, Melinda Bronstein and Michael Wood the band perfectly compliment Adam’s bittersweet and often humourous song writing. We saw them in September in Bristol play to about 70 people, a far cry from Adams’ time with festival favourites Broken Family Band. This meagre crowd is set to grow in 2012 once word spreads. They are a well drilled and engaging live act and in 2012 are set to release their second album. Some tracks were trialled at the gig we saw in September and we were left impressed. Watch out for this band at a festival or venue near you, they could soon be your next favourite band. 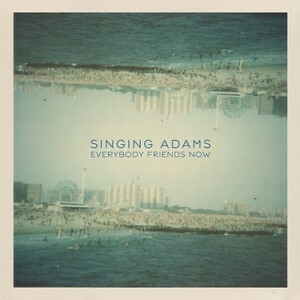 The band’s debut album Everybody Friends Now was one of our highlights of 2011. Here’s one of our favourite tracks from the album, I Need Your Mind. Shame on you Bristol. Singing Adams, one of the best live bands in the UK, come to town and only 70 or so of you turn up. Slightly taken aback at the lack of numbers at this early gig at The Cooler nightclub, the band took to the stage, inhaled slowly and decided to give those that did turn up a gig to remember. Singer and songwriter Steven Adams, who as former frontman of the Broken Family Band is more used to playing in packed venues and festivals, said, “it may take awhile but we’re going to take you to church and melt your face,” before blistering through an hour’s set of banter, tracks from their debut album Everybody Friends Now and some new ones destined for their second album. As the band started with debut album tracks such as Old days and Move On, Adams beckoned the sheepish crowd forward and even gave them some party games as a reward. Hybrid band names that are “just so wrong” is a game they have brought to the stage and ask the crowd to join in with. After offering up the excellent ‘Men at Bjork” the band delight as the crowd shout out their own versions after each song. It warms the heart to hear a tightly played track finishing and someone shouting out “Trextc” or “DuranDurannielennox.” Among my highlights was someone getting it only half right and shouting out “Fred Westlife” in a frighteningly appropriate broad west country accent. Not that they needed banter. This new project for Adams has marked a change of direction from his Broken Family Band days more towards indie rock. It’s a change he excels it, especially as he has assembled a fine bunch of indie loving musicians. The intricate, melodic bass playing of Michael Wood, the tight drumming of Melinda Bronstein and the indie riffs, part Teenage Fanclub, part Pulp at times, of guitarist Matthew Ashton, all combine well with Adams’ voice and understated showmanship. What does remain from his Broken Family Band days is the singalong nature of the songs. Often the crowd are asked to join in with the choruses. Not in a cheesy way, these are choruses that demand a crowd to sing with, even if it is just 70 strong. But this mini tour is something of a farewell to their debut album as they trial new songs and prepare to go back to the studio for album number two. On this performance of the newer songs it’s going to be a stormer, especially Building A Wall. Enough of the future though, for the encore the band performed their version of St Thomas, with its sing along chorus of ‘when you come to Oslo, I’ll teach you how to sing.’ This final track is from Adams’s solo album Problems from 2005, which was released under the slightly different name of The Singing Adams. Seventy people may not have had their faces melted but they certainly had a good laugh with a band that don’t let a little thing like a little crowd put them off. 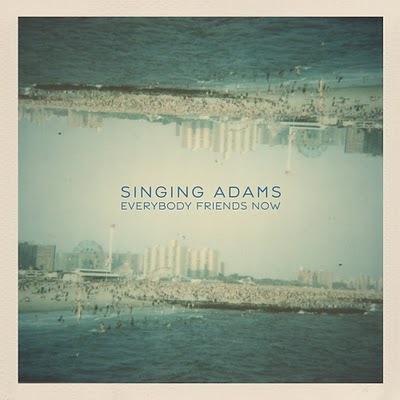 See Also: Review – Everybody Friends Now, Top Ten Albums of 2010 so far. Welcome to our round up of 2011’s album releases so far. Our early thoughts are that compared to the same time last year 2011 hasn’t been as great. True, there’s been some fine albums, but far less competition to get into our top ten and only one runaway contender for the top slot. The list below picked itself fairly easily but whereas in June last year we pretty much already our Top 20 Albums of 2010 list in place. There were a handful that did narrowly miss out though, and are more than likely to feature in our end of year Top 20. These include Johann Johannsson’s classical masterpiece Miners’ Hymns and newcomer Alice Gun’s Blood and Bone. Another feature of this year’s list is the dominance of American acts with a folk, country leaning, with just three UK acts making our list and one Canadian. Sit back, get your early Christmas lists ready and enjoy Neonfiller’s Top Ten Albums of 2011 ….so far.